This colorful CHARM IT! 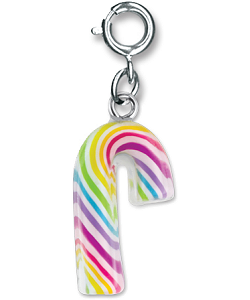 Rainbow Candy Cane charm adds a festive splash of holiday spirit to your fashion any day of the week. 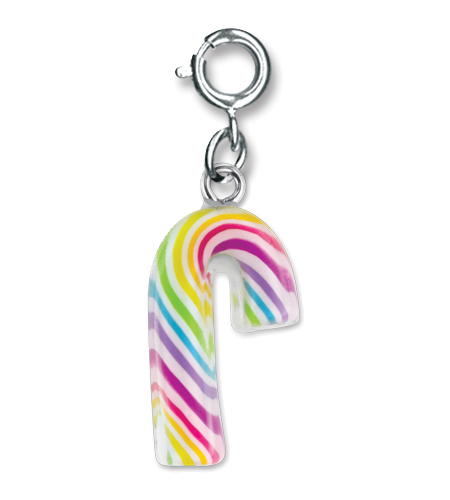 Featuring stripes in a rainbow of colors, this fun candy cane charm has a white background and a clear protective wrap reminiscent of the cellophane around flavored candy canes. This CHARM IT! Rainbow Candy Cane charm makes it so easy to change the look of your charm bracelet to match your mood or outfit - and even the season - as all it takes is a simple snap of the clasp.